The new theme for Paper Issues is up, and for this theme, I got to work with this awesome kit from Cassie - Bees Love Cantaloupe - made up of My Mind's Eye papers, white and kraft cardstock, snug hug binding, twine and diecuts. I loved this kit so much. I made 3 layouts all from this kit. This first layout I relied heavily on my Silhouette machine. I used the dresden pattern shape found here. I cut out the pattern pieces using several different patterned papers and then mix them up and put them back together. I added some stitching around the edges with the twine to make them pop! For my final layout, I used a sketch from Studio Calico on NSD. I misted the white cardstock from the kit with Studio Calico Mr. Huey colors, Cameo and Dewey. Both colors go great with this kit! I added a piece of 6x6 grey stripe paper to back my picture. Now as usual with Paper Issues Blog Hops, Cassie is offering the blue version of the kit - Boys are Sweet, Too - up for grabs, Just make sure you leave a comment on the Paper Issues Blog for a chance to win! These layouts are so sweet! Gorgeous photos, soft beautiful colors, love all the details and the quilted effect on that first one! beautiful layouts wedding picture is beautiful so in love! 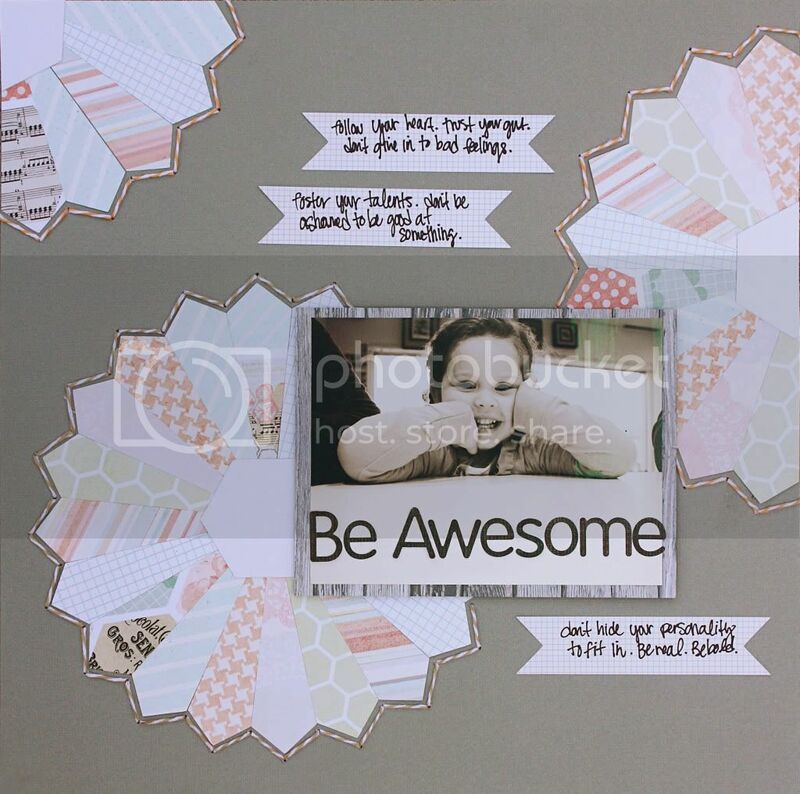 love how you incorporated the hexagons to your pages! This is Beautiful and I am really enjoying this hop. Such beautiful photos and layouts, just fab! You did an awesome job on all the pages!! Your layouts are so lovely, I especially love what you did with the first, the piecing of all those patterns is so lovely! 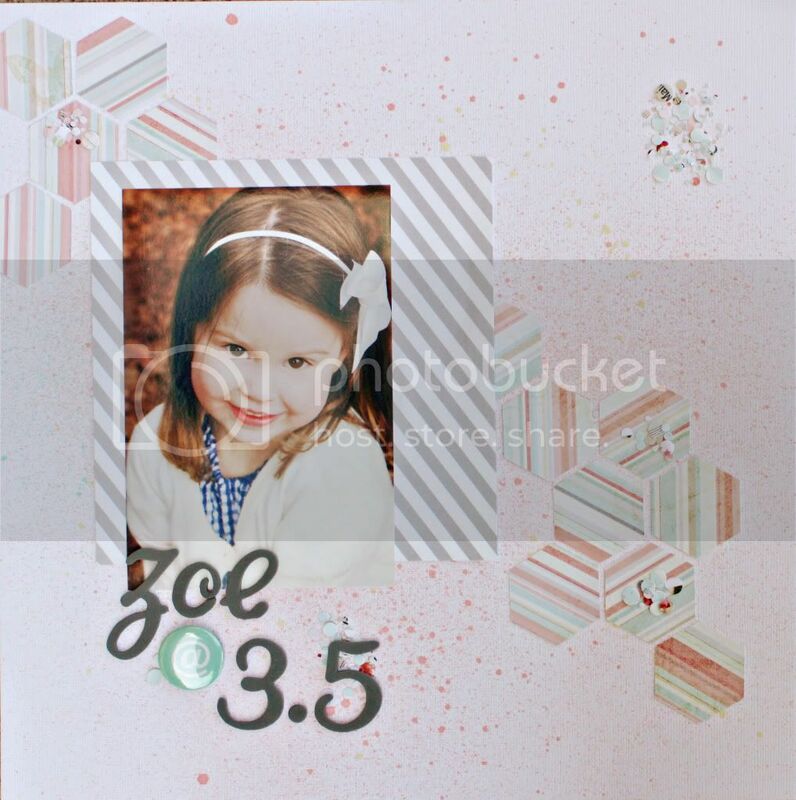 Absolutely adorable layouts - I love the soft colours and the little finishing touches! !